WHY CHOOSE URBAN SIDING FOR YOUR SIDING AND SOFT METAL NEEDS? Urban Siding Ltd – Calgary’s Siding Repair Specialists have been proudly serving Calgarians for over 10 years, and in that time, we have gained a solid reputation through strong work ethics and a commitment to quality. We understand the difficulties that can arise when hiring siding contractors, and we want to make it as easy for you as possible. We have fine tuned our process so that we can deliver a quality job within your timeframe. Urban Siding has been a leader in reliable exterior services and quality construction for many years. Our mission is to provide quality products and services at a fair and competitive price. We strive to create and maintain a friendly, courteous, and professional relationship with all of our clients. Our focus has always been on quality workmanship with superior products. We are also committed to maintaining effective communication and being sensitive to each client’s individual needs. Since the beginning, we have put our mission into action by delivering reliable, responsive service, and consistently excellent work. Because we are committed to our goals, residential and commercial siding and roofing clients know that they can count on us to be there when we say we will. We will complete the job on schedule, pay attention to every detail, and ensure that the finished product meets and exceeds all expectations. All of our work is covered by warranty. If the need ever arises, we will respond to all issues in a timely and efficient manner with an unparalleled level of project support. We are based in Calgary with operations throughout the greater Alberta area, enabling us to offer all of our services to all locations in Alberta and surrounding provinces. We have been a Calgary leader for the supply and installation of all types of exterior siding products, including vinyl, aluminum, wood, and cement-based siding such as Hardieplank and CertainTeed. We can handle any roofing or siding project from renovations to new construction to damage repair. 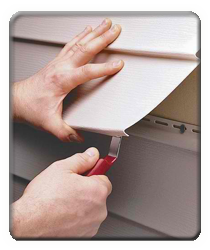 When you need your exterior to look its best, call the professionals at Urban Siding.